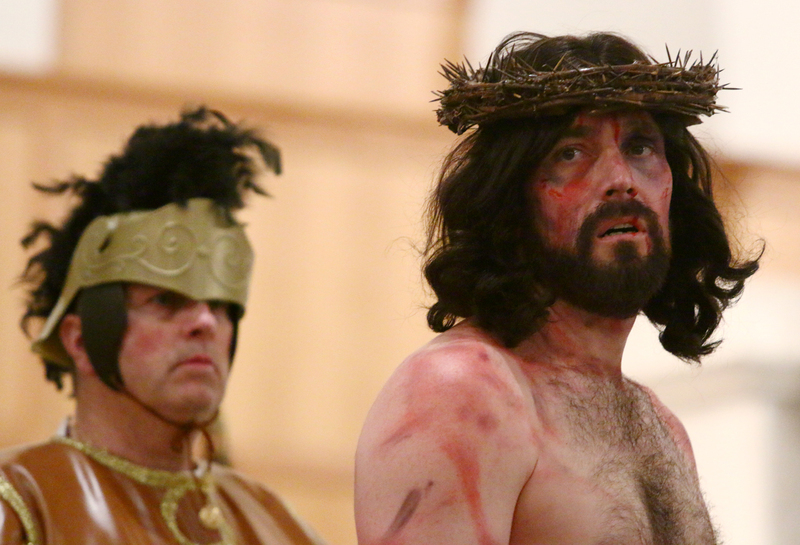 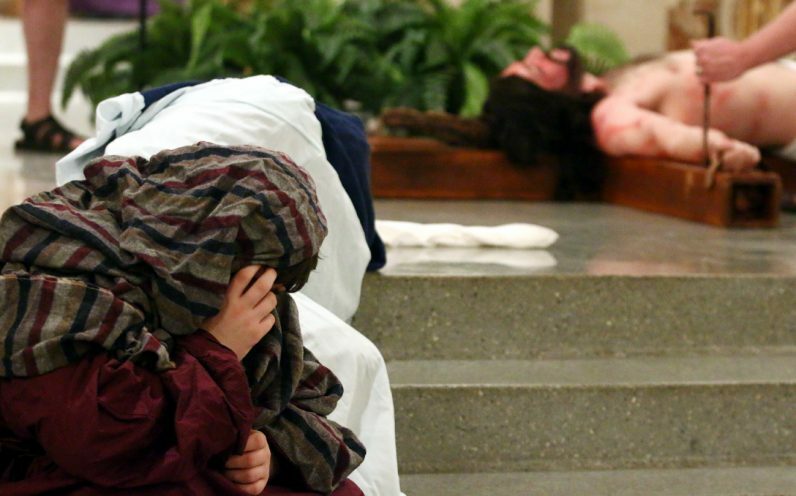 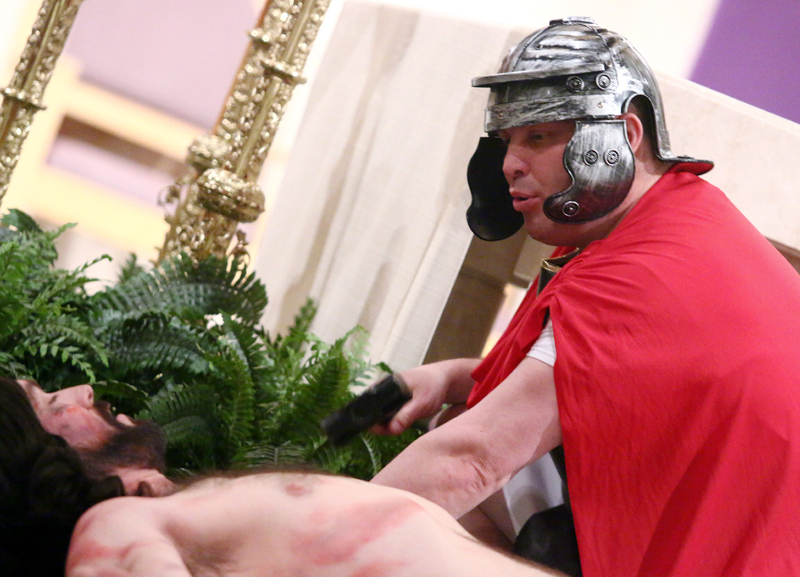 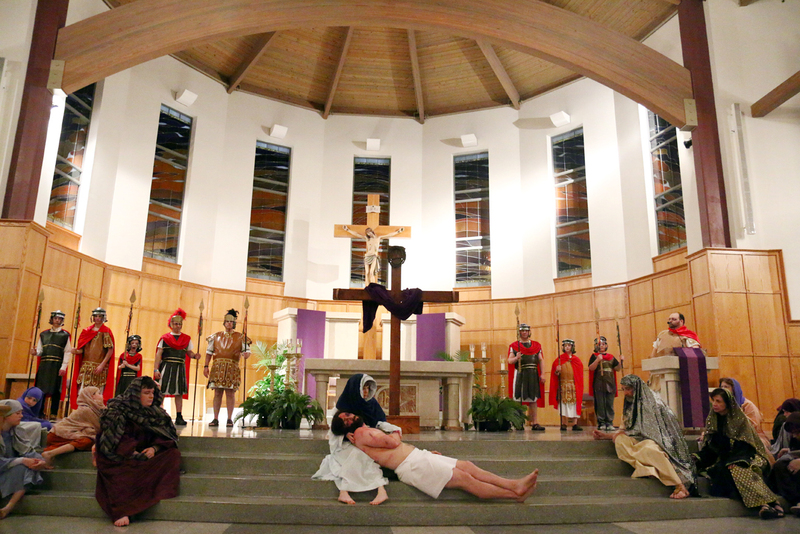 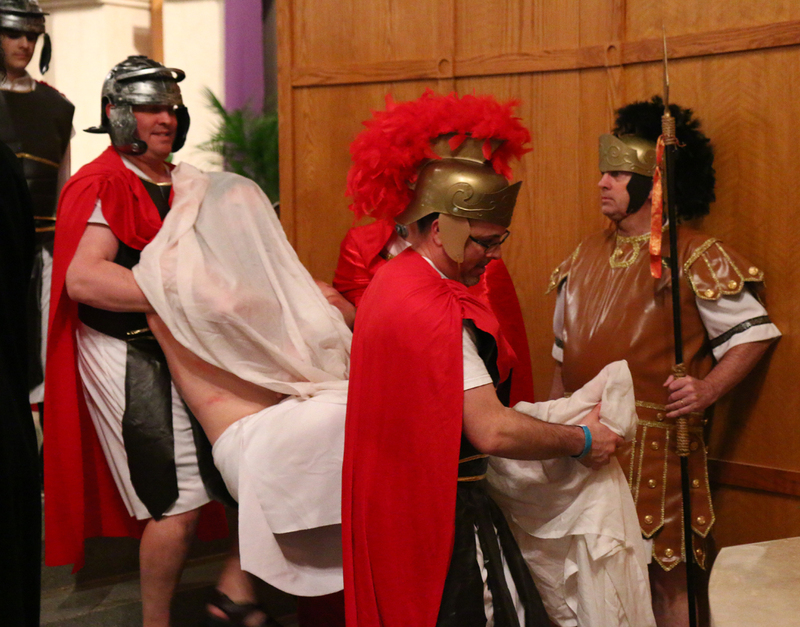 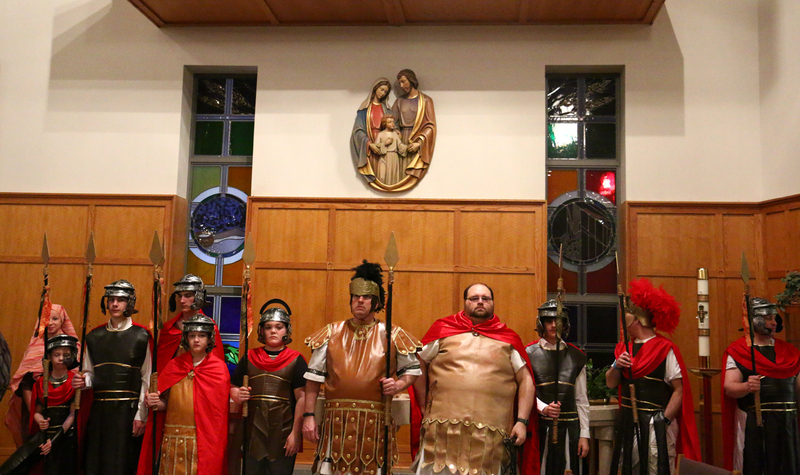 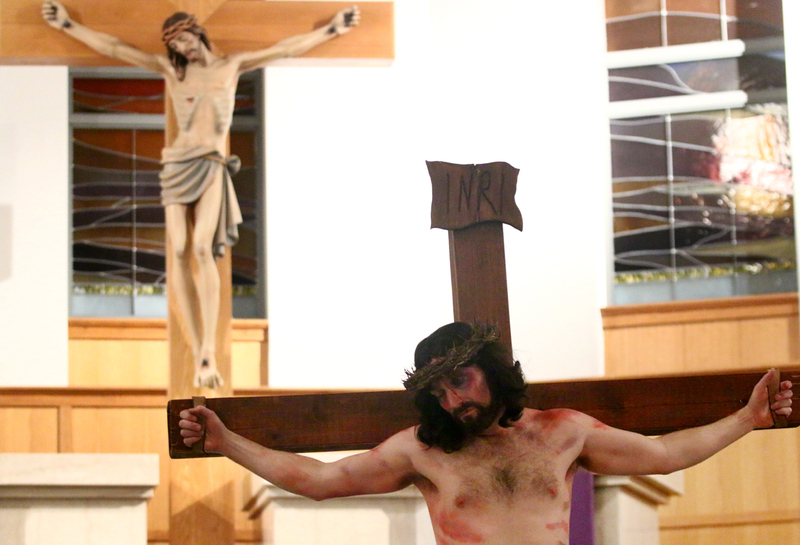 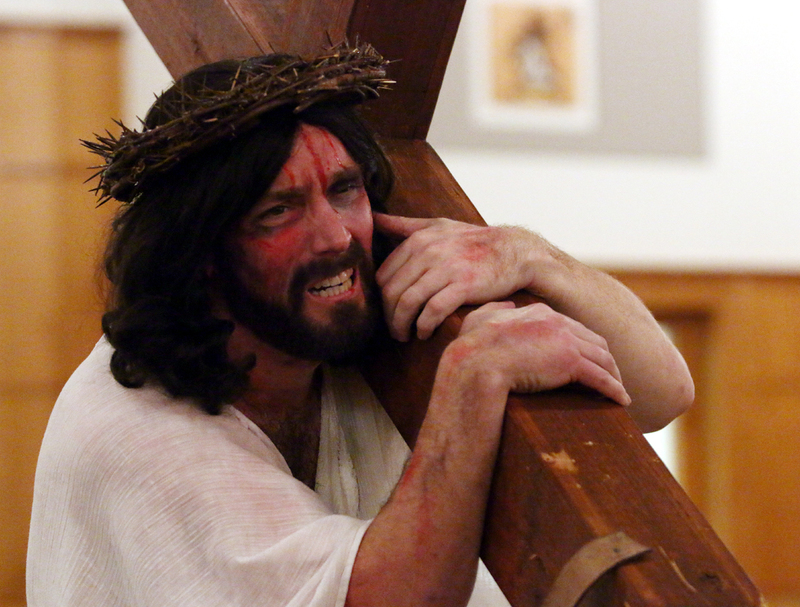 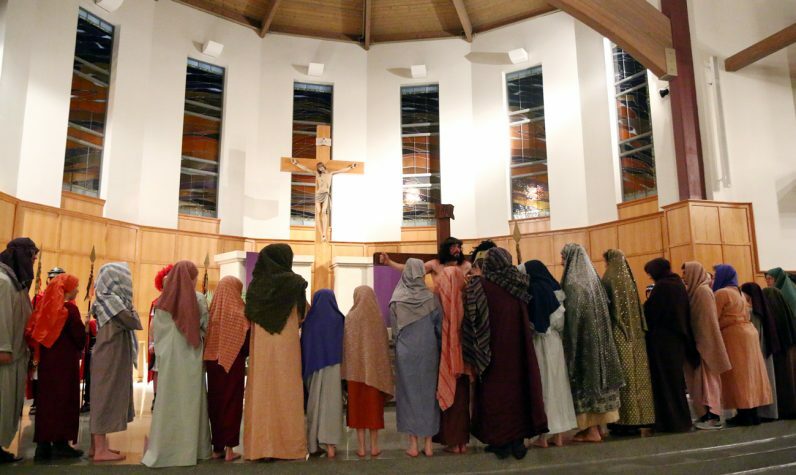 Parishioner Dan Haley plays the title role of Jesus in the passion play. 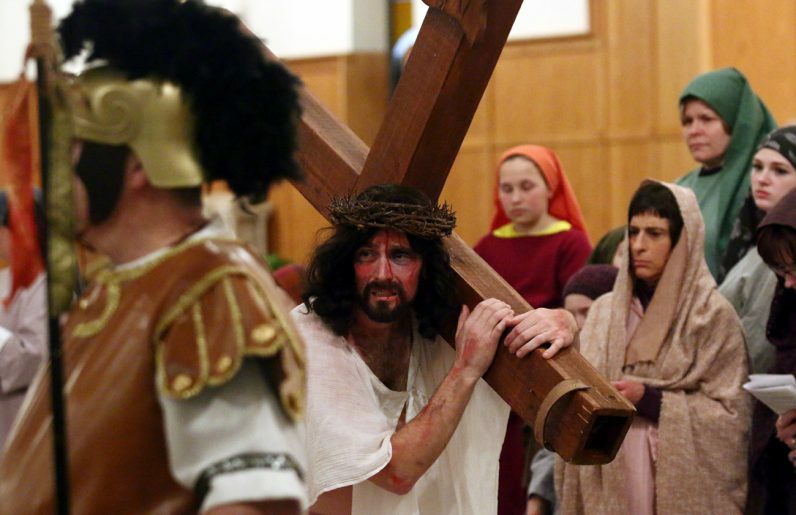 Michelle Haley portrays Veronica (right), carrying an image of Jesus. 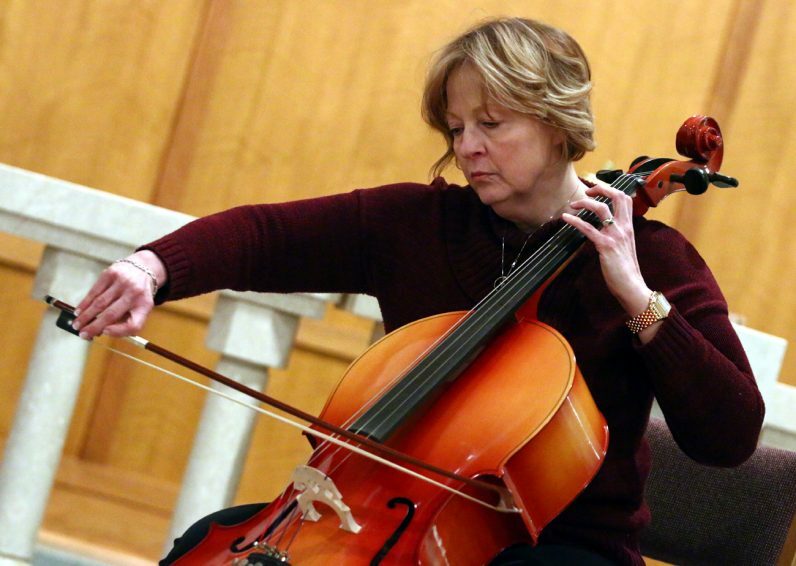 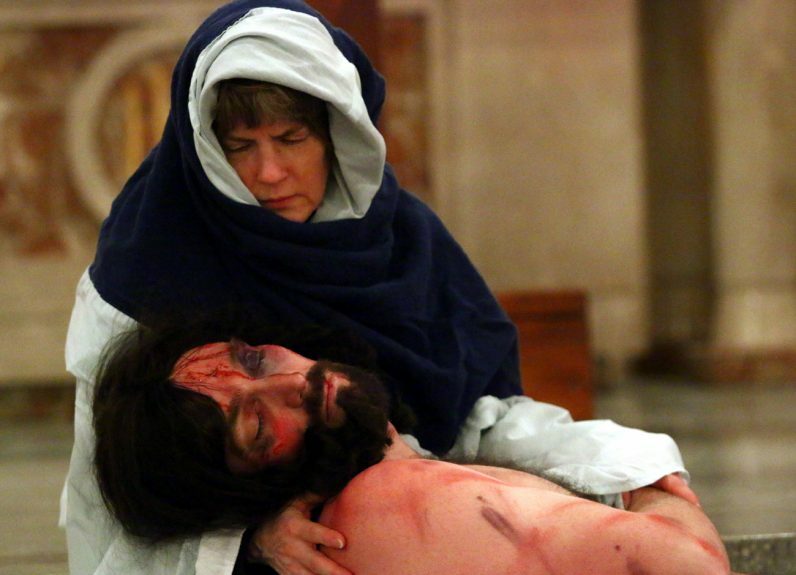 Mary Medoff portrays the Blessed Mother holding Jesus (Dan Haley), who is taken down from the cross. 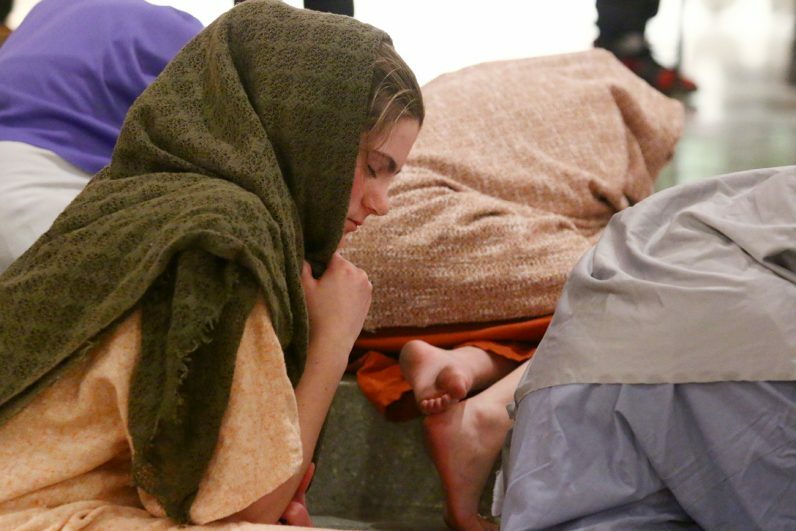 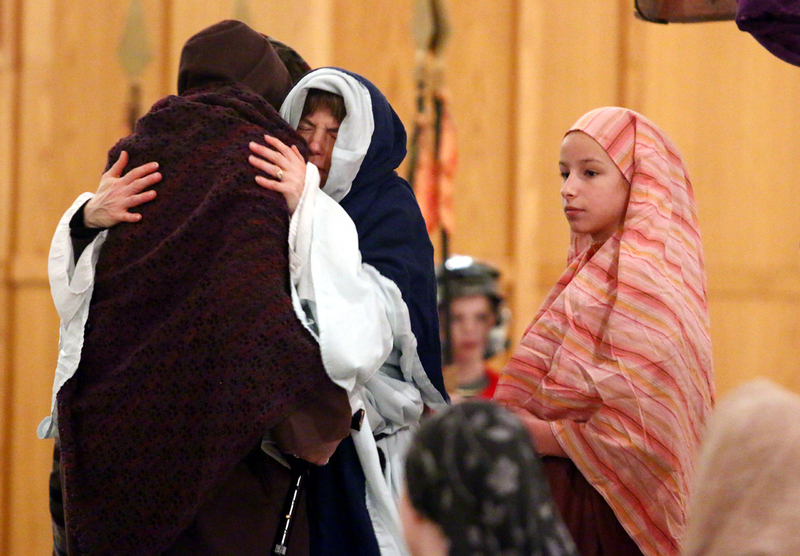 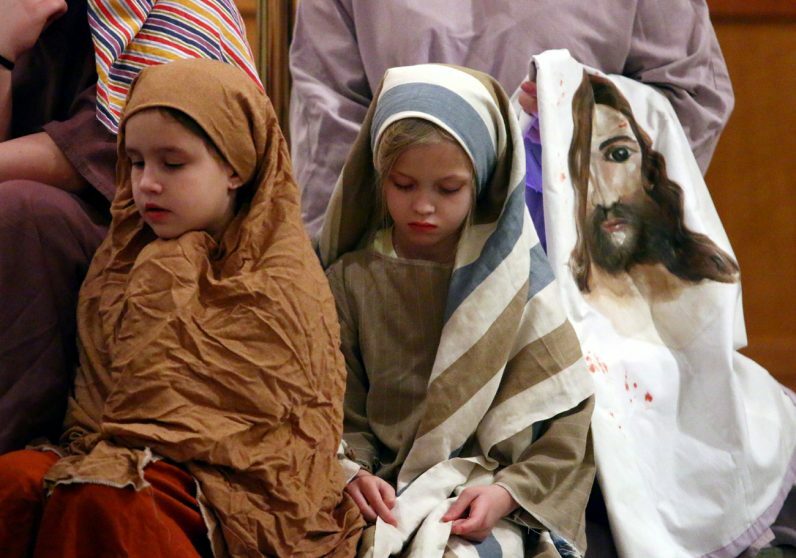 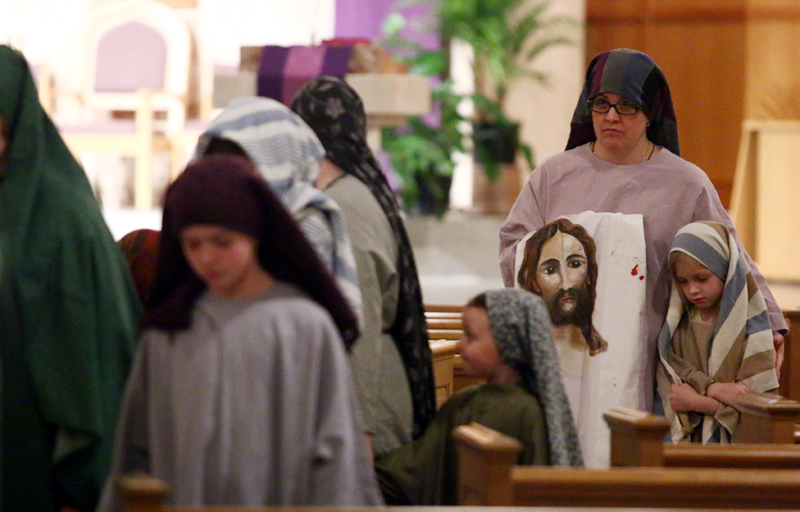 Mary Medoff, portraying Mary, the mother of Jesus, is comforted during the loss of her son.